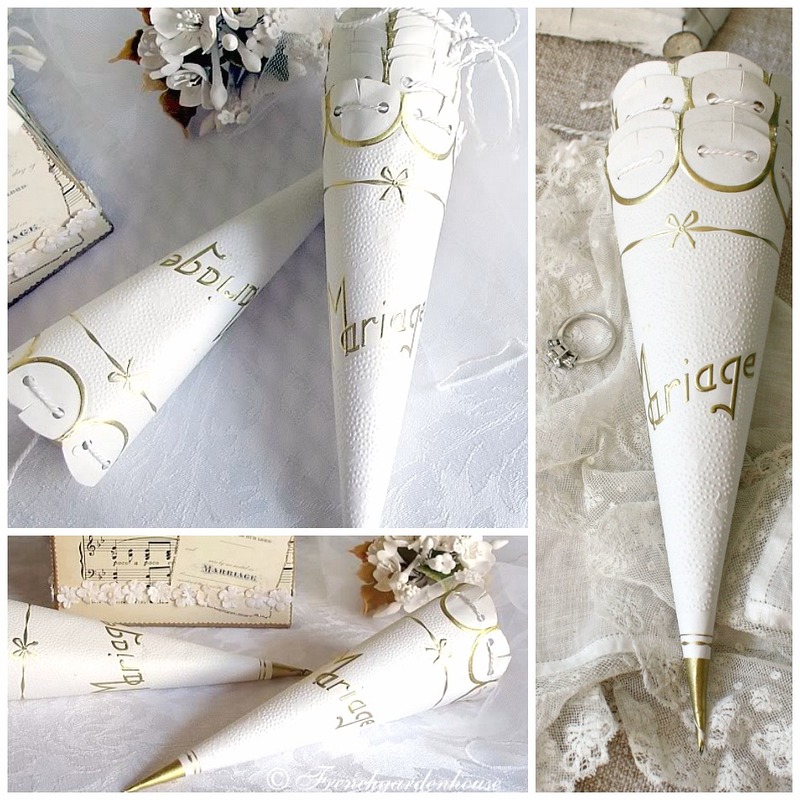 Antique Wedding Cornette Cone was used as a Wedding favor in France in the 1900's. Made of White & Gold paper, this is old store stock from a French Candy Store. This is so sweet! 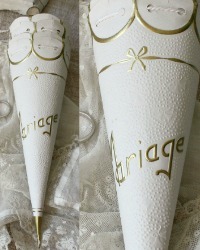 Each cone is embossed with the gilded word "Mariage", and a Gold Bow. The paper has decorative embossed dots, and wedding bells, too. A silken cord is threaded through the opening. Perfect to fill with candies or a special gift, to celebrate the wedding of someone special, I love to add these to a shower gift. These cones are in very good antique condition, there may be discoloring of the glue on the back seam. At almost 100 years old, they are not "brand new, they are amazing! Measures: 8" long, 2~1/4" wide at top.